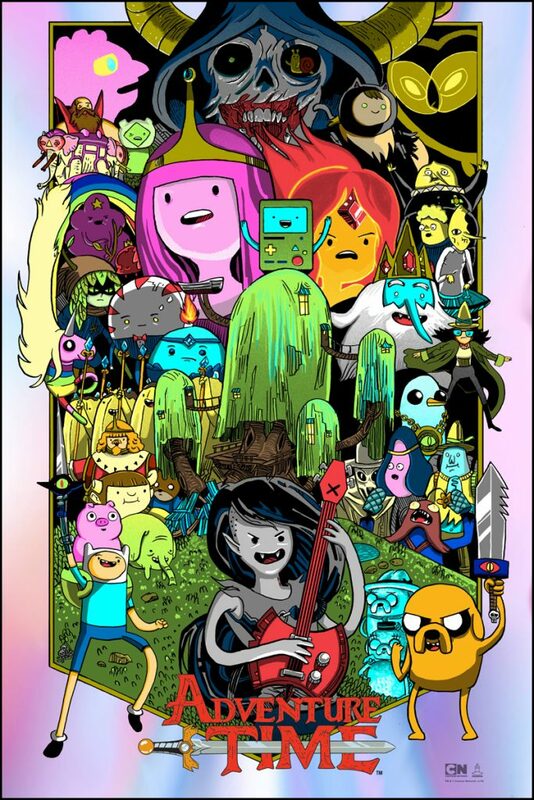 ADVENTURE TIME print by Doyle! “Come Along With Me” 24×36 print, edition of 150. Last year, artist Tim Doyle was commissioned to produce this officially licensed print for Adventure Time, in conjunction with Galerie F in Chicago! We’re FINALLY releasing the artist copies of this print on line to the Nakatomi Nation! This 24×36″ print is available in a regular edition of 150 (pictured above) printed on French Paper Pop-Tone Berrylicious stock, AND- on a Iridescent Foil edition of only 50 worldwide! (below) Both are $50 each. Prints are in hand and ready for immediate shipment! Pick them up HERE in the Tim Doyle section of the Nakatomi Store! ← METALLICA Grand Rapids by Chiara Bautista!